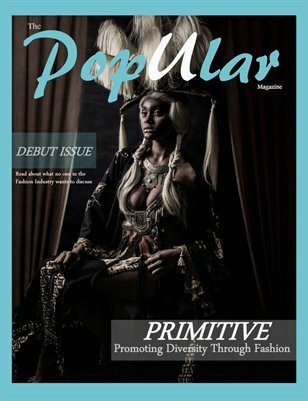 The PopUlar Magazine Debut issue is about promoting diversity through fashion. This issue talks about what is happening Nationally and Internationally with the fashion and textile industry. It provides an outlook on an ever changing business while showcasing cultural ethnic attire. A great eye opener for everyone. This issue also showcases a four page spread of Tech in fashion as well.